Multi-tools are must-haves, don’t you think? Whether you keep one on you, in your car, or on your bicycle, you’re prepared for almost anything with a multi-tool. They’re way easier than carrying around than a toolbox, that’s for sure. 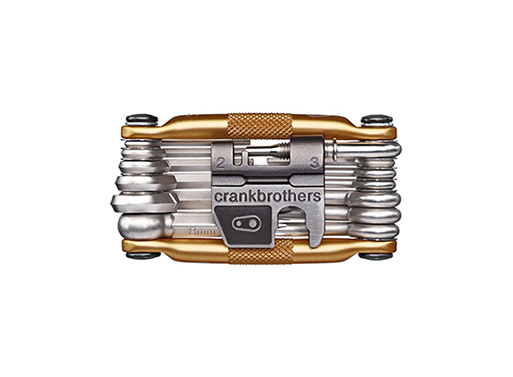 The Crank Brothers Multi 19 Tool features side grips for a secure handhold and includes a spoke wrench, a chain tool, hex wrenches, open wrench, screwdrivers, and torx. And, yes, I had to look up torx. Also, if you are (or know) a cyclist, do check out the Crane E-Ne Bell in black, also available from the same retailer. From our archives; originally posted Dec 6, 2016.